Elizabeth Taylor (born 27 February 1932 in Hampstead, London, England), is an Eglish-American actress. She starred in the movies, National Velvet, Father of the Bride, A Place in the Sun, Butterfield 8, and Who's Afraid of Virginia Woolf. 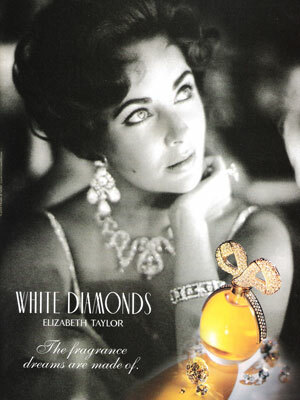 Liz Taylor debut her signature fragrance collection with Elizabeth Arden.